There are so many things to do with kids in the Caribbean, from snorkeling to hiking to building sand castles on some of the most beautiful beaches in the world. Even better, several islands and resorts have water parks with water slides, raft rides and lazy rivers that the kids will simply love. Take a look at six of the best water parks to enjoy on your next Caribbean vacation that will keep them splishing and splashing all day long. 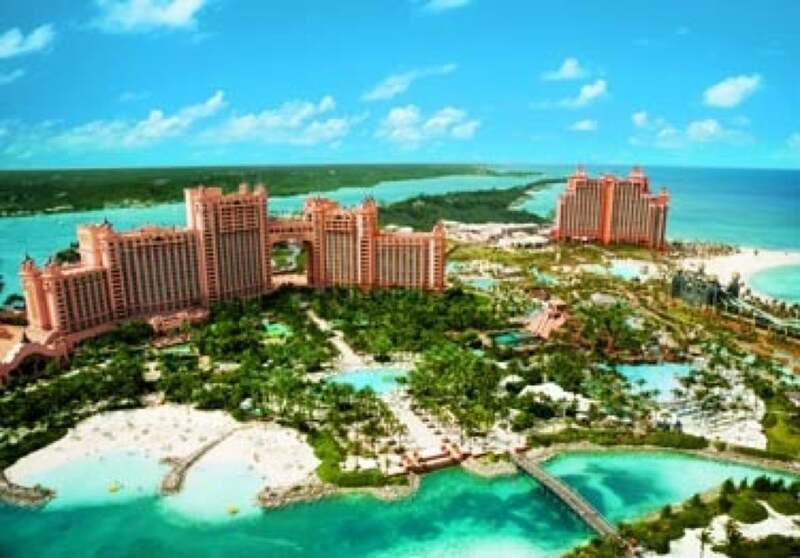 Little ones will love Splashers, a Mayan-themed water playground at Aquaventure, the water park at Atlantis Paradise Island in the Bahamas. Jungle-themed slides and fountains, a lazy river and speedy water slides with vertical drops and wild corkscrews all make for splashy family fun. Leap of Faith, a popular water slide that sends you down six stories before sliding you through a lagoon teeming with sharks (by way of a clear tunnel, of course) is also a must-do at kid-friendly Aquaventure. Grab a tube and make your way along the lazy river before splashing down any one of multiple water slides at the 45,000-square-foot Pirates Island water park at all-inclusive Beaches Turks & Caicos. Small children will love the pirate-themed play area with small slides and water cannons, as well as the swim-up bar attached to the huge pirate ship at the water park (which also houses a café). For adventurous types, try the SurfStream simulator that lets you ride the waves on a boogie board. You could easily spend an entire day at Sugar Mill Falls Water Park on Montego Bay, which bills itself as the largest water park in Jamaica. Located at the Hilton Rose Hall Resort & Spa, the water park is a perk to overnight guests and a must-visit for families. Look for a 280-foot water slide, a relaxing lazy river and a wooden suspension bridge perfect for little ones. Three terraced pools and two swim-up bars, as well as a pool concierge, make Sugar Mill Falls Water Park a must-do for moms, dads and kids on your next Caribbean vacation. Coconut Bay Beach Resort & Spa in St. Lucia has so much to offer families, including Splash, the family-focused section of the resort, and of course, the CocoLand Water Park. Look for a lazy river, daring water slides that send you down with a splash into a plunge pool and a water playground complete with dumping buckets, dancing fountains and water cannons. Keep your eyes open for Coco and Loco, the mascots of kid-friendly Coconut Bay Beach Resort that love to meet and take photos with kids staying at this all-inclusive Caribbean resort. Adjacent to the Caribbean Sea, families will love the slides, pools and dedicated children’s areas at the Coqui Water Park at El Conquistador Resort in Puerto Rico. The large infinity pool is a good place to start before racing down one of multiple water slides or floating along the lazy river. You’ll also find a children’s pool, as well as an easy slide just for kids. Full day tickets for this water park are $19.95 for adults and $14.95 for children and are only available to registered guests of this Caribbean resort. A stay at De Palm Island, an all-inclusive resort in Aruba, is not complete without a visit to the on-site water park, which features a variety of water slides for every member of the family. The tropical-themed water park also has a colorful water playground for small children with plenty of kid-friendly slides, dumping buckets and fountains that spray water all around.